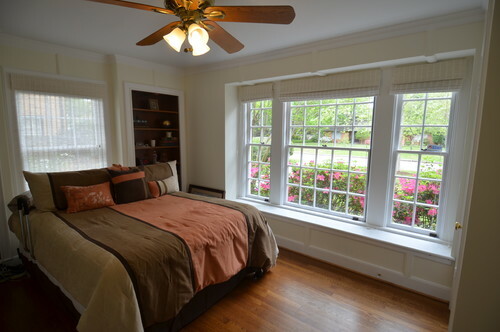 This now-cheery bedroom suite is the culmination of combining a dark-paneled office, a half-bath, and a butler’s pantry. 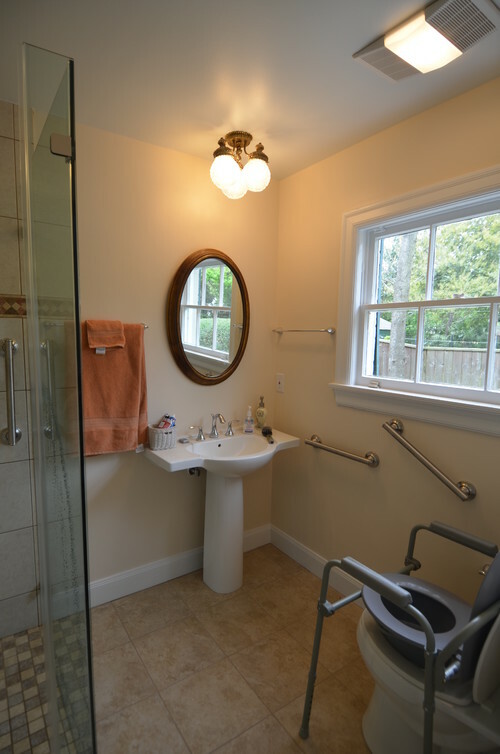 Utilizing aging-in-place design, a full bath and closet were added to provide a restful, welcoming place at home for an individual who now requires special accessibility on the first floor. 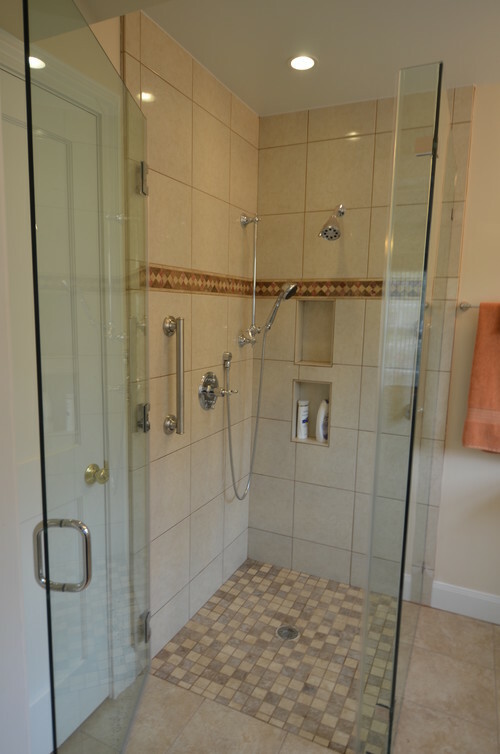 This curbless, walk-in shower allows the user and a caregiver to enter free of any obstacles. 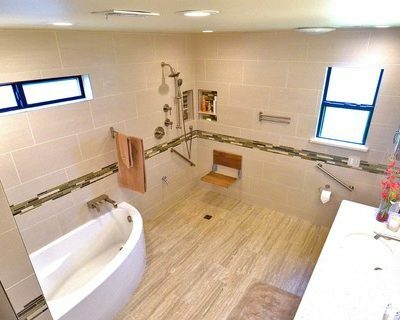 The grab bar offers stability, and the handheld shower on a slider bar can be set at any height desired. Built-in shampoo niches are situated for access either sitting or standing. 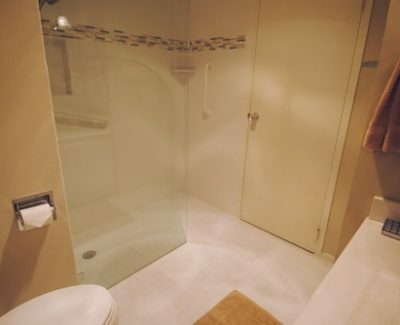 Non-slip tile has been used on both the shower and bathroom floors. 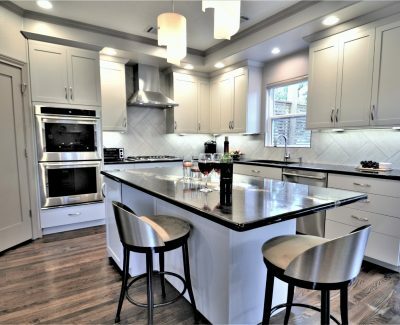 The graceful pedestal sink offers countertop room for the necessities yet takes up minimal floor space to maximize moveability. 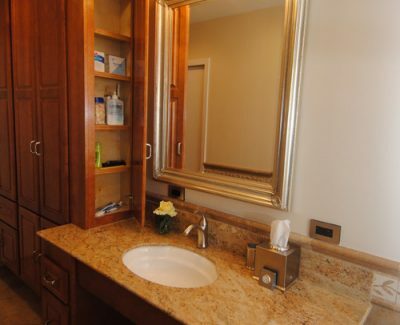 Grab bars are stationed at the sink and toilet to permit ease of use and stability. Lighting from three sources aids visibility.